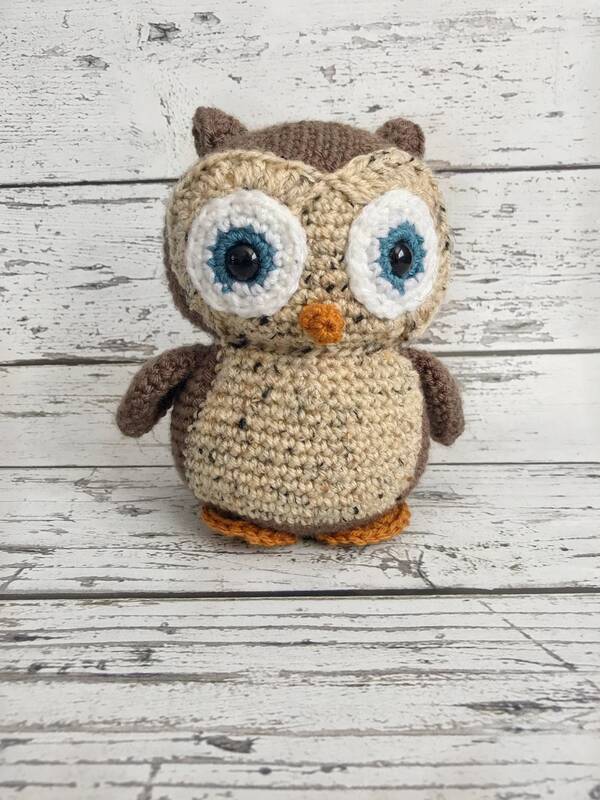 Hooty the Owl is perfect for any child to snuggle and play with! 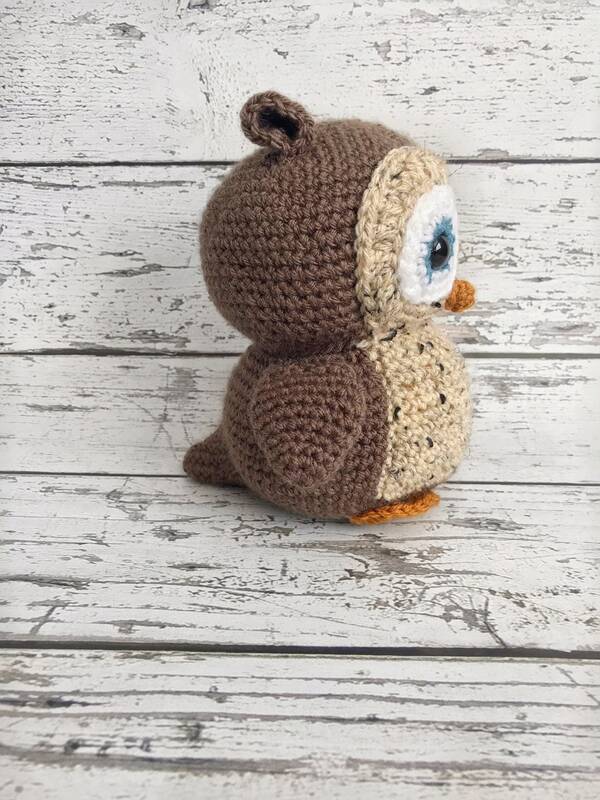 He is crocheted with love out of light brown and oatmeal acrylic yarn. 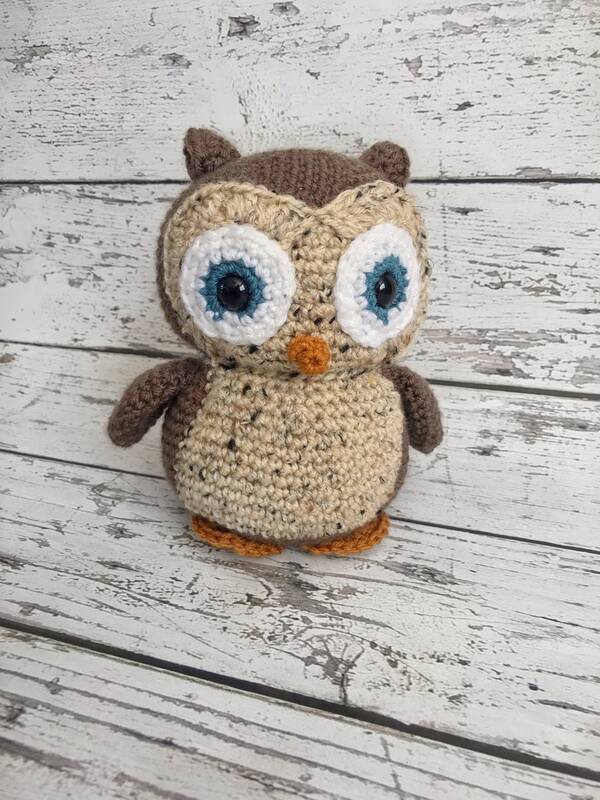 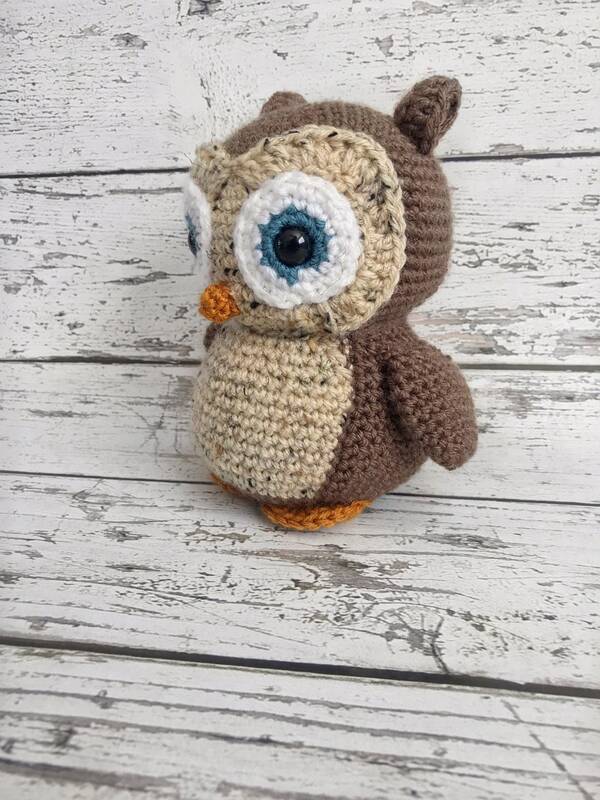 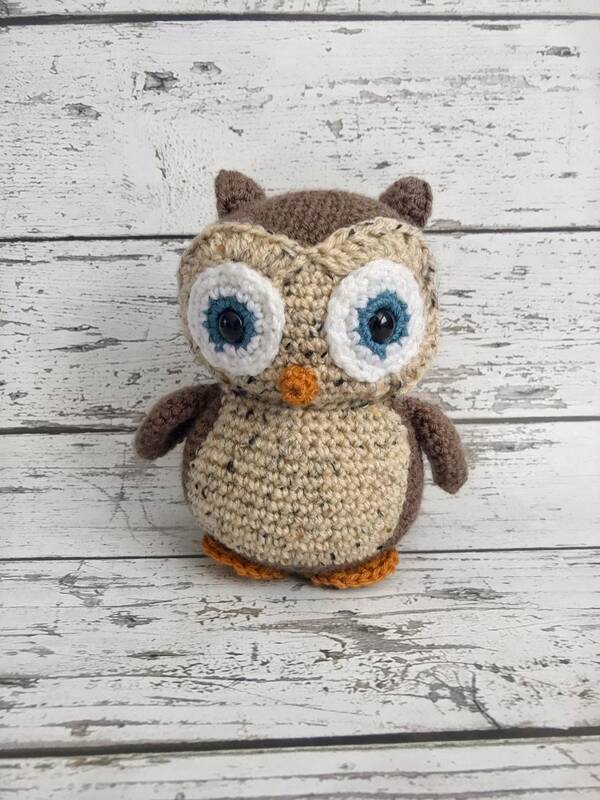 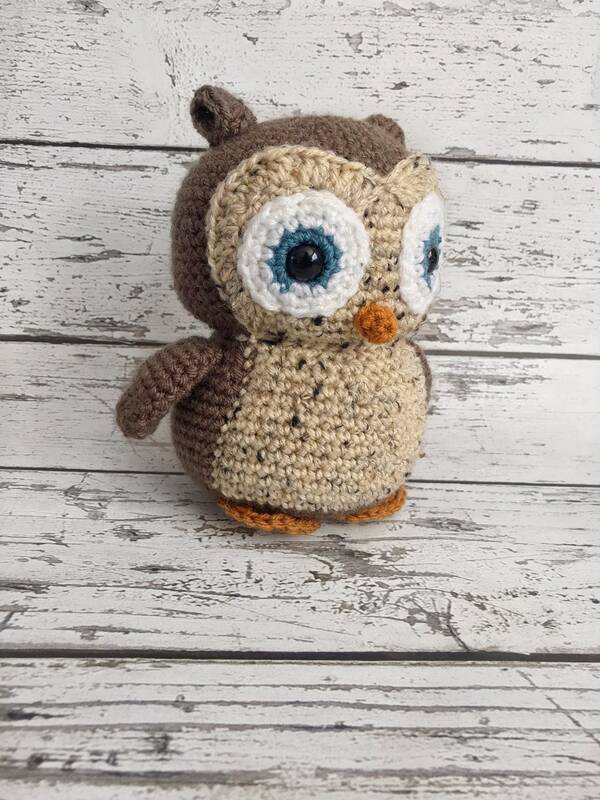 This owl would make a perfect baby shower, birthday, or just because gift!